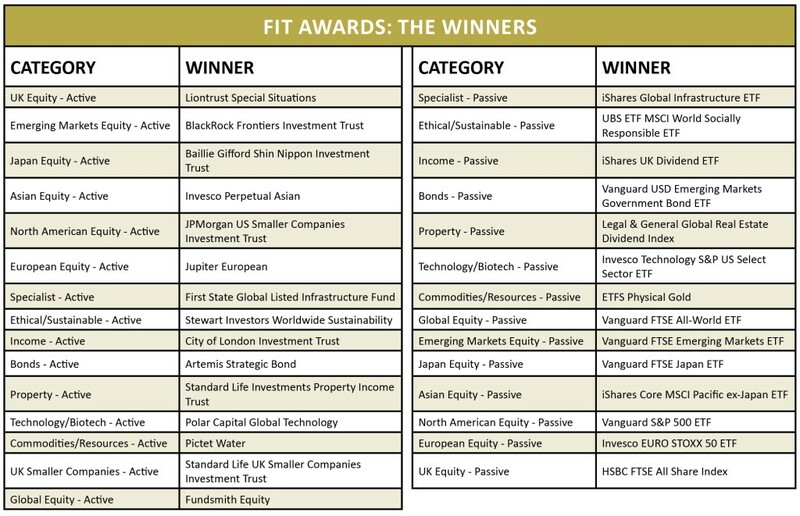 More than 7,300 private investors and financial advisers have voted on which funds and investment trusts should be awarded best-in-class across 15 product categories in this year’s AJ Bell Funds & Investment Trust (FIT) Awards. The winners included multiple gongs for asset managers Vanguard and Invesco. Shares’ editor Daniel Coatsworth was part of the expert panel which put forward nominations, alongside AJ Bell’s head of active portfolios Ryan Hughes and head of passive portfolios Matt Brennan, Square Mile Research’s managing director Richard Romer-Lee, Lift Financial’s CEO Joel Adams, and Kepler co-founding partner William Heathcote Amory. A shortlist was produced from the panel’s nominations and winners were voted by retail investors who are customers of AJ Bell Youinvest and financial advisers using AJ Bell’s Investcentre platform. 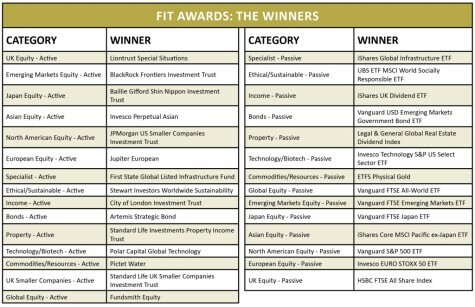 Each category featured an active and passive fund winner, and certain funds have remained very popular as they’ve won for the second year in a row including Liontrust Special Situations, Baillie Gifford Shin Nippon and Polar Capital Global Technology. The full list of winners can be found in the accompanying table. The awards were sponsored by AJ Bell, First State Investments, Invesco, Invesco Perpetual, Pictet Asset Management and UBS.